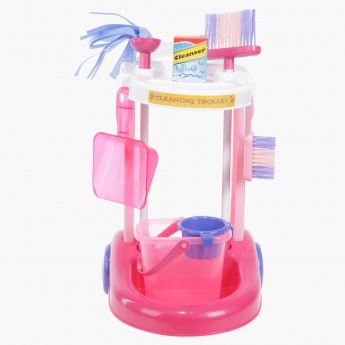 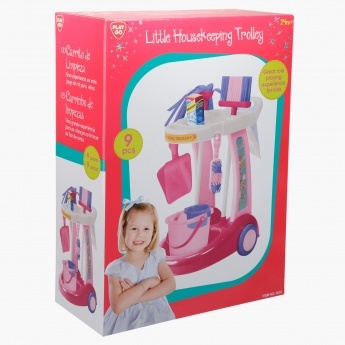 Let your little one help you our with some household cleaning using this housekeeping trolley. 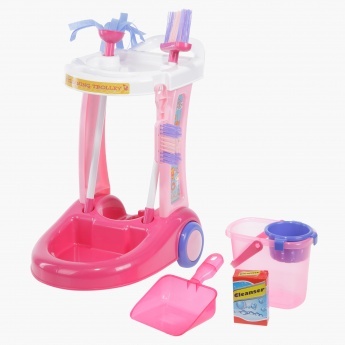 Featuring cleaning items, this trolley two wheels and trays. It also has a mop and cleaning broom that adds charm to the set.